Ernst Paunzen leads a research team aiming to contribute to the understanding of the creation of the universe. Ernst Paunzen working at the Department of Theoretical Physics and Astrophysics. Paunzen wants to follow up with a satellite experiment which will bring data in the form of 3D images of the universe. Ernst Paunzen is in Brno thanks to the Somopro program. 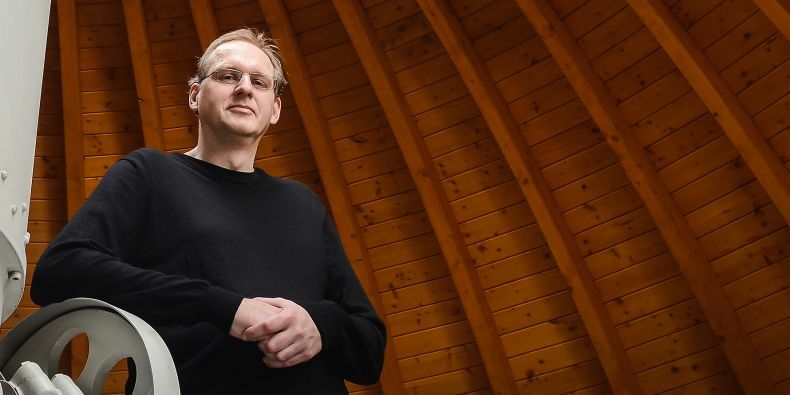 At the Department of Theoretical Physics and Astrophysics he now leads a research team aiming to contribute to the understanding of the creation of the universe. The outcome of his project will be an addition to the world database of start clusters and its relocation to Brno. He wants to follow up on this with a satellite experiment which will be the first in the world to bring data in the form of 3D images of the universe. Together with a seven-member team composed of natural scientists and IT specialists from Masaryk University, Paunzen is currently trying to analyse stars and star clusters in the neighbouring galaxy Magellanic Clouds and determine their chemical composition, called metallicity. “All elements except hydrogen and helium are produced in stars, everything around us is from stars, including our bodies. If we find where and how these elements are created, we will solve one of the knottiest issues related to the universe,” the astronomer says. Research takes place also in the Masaryk University Observatory in Brno Observatory and Planetarium. Members of the research team watch stars and make images from here, which they subsequently examine. “However, we do not look directly from Kraví Hora, where the observatory is located. We do remote telescopic observations, we connect to a computer in Chile from where we observe the stars and measure their brightness. Based on the data obtained we create an interactive database of star clusters,, accessible on the Internet. It is already available and in the final stage it will include various animations and videos,” Paunzen explains. A graduate from astronomy, who worked in IT in Vienna due to lack of job opportunities in his field, finally fully pursues his passion at Masaryk University. He works on a research project and teaches and supervises students of theoretical physics and astrophysics. He chose the Czech Republic also due to local mentality, which is similar to the Austrian one. “In Austria, there are not enough career opportunities. If you want to stay in astronomy, you must go abroad. Here in Brno I had a unique opportunity to get back to science. I can realize my potential here, there are better conditions for work. It is great to work with Czechs, they are more team-oriented. 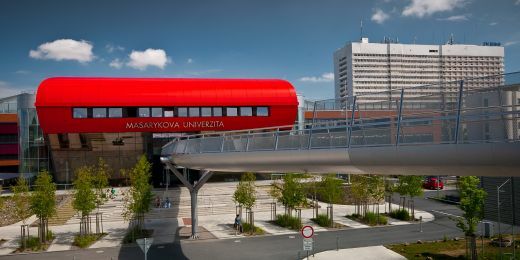 Austrians rather care about themselves,” says Paunzen, who plans to stay at Masaryk University as a researcher and teacher even after the end of the project. His three-year research project in now in the second half and it will last until September next year. To obtain financial support for research from the South Moravian Centre for International Mobility, his research team had to beat competition of approximately one hundred other projects. It brings a lot of interesting data already now. “The project is evaluated as very successful, 15 papers have already been published based on it. 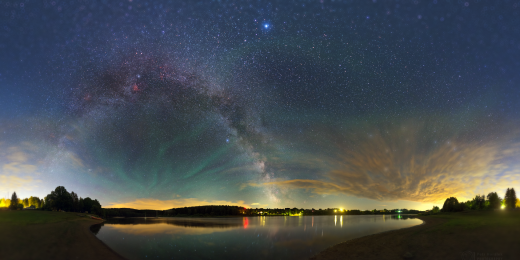 Brno astronomy is in its golden age,” the scientist says contentedly. However, the most interesting things are still ahead of Paunzen and his colleagues. The star database which scientists expand and create with their research will be followed up in the coming years by a satellite mission Gaia, which will carry out spectroscopic research. “The satellite experiment will bring us a lot of new and interesting data, which will be much more accurate that those we are able to obtain now. The satellite measures the distance from us to the stars, we cannot determine this from the Earth. We will be able to compare maps of materials we have and correlate them with the distance of the objects. This will create the first 3D map of a galaxy other than our own; this is something completely new and exciting for astronomers. It will be a big step," Paunzen explains researchers' plans. However, the date of the experiment beginning has not been set yet. Czech scientists document how a collision of giant interstellar bubbles in the Milky Way gives rise to new suns. 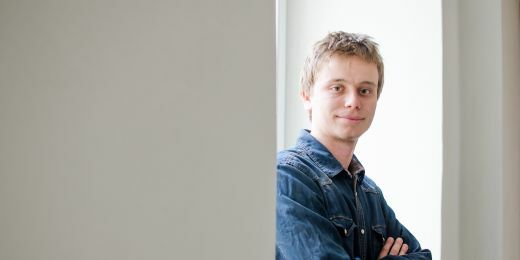 The starry skies led Vladimír all the way to a traineeship at the European Space Agency in Madrid.